Other names: One seeded hawthorn, thorn apple. 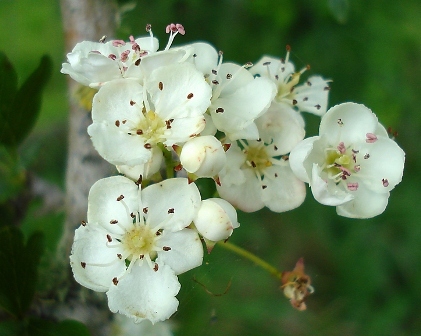 Common hawthorn is believed to be a native of a quite wide region beginning from Europe, Northwest Africa and Western Asia. It has now reached in many parts of the world. It is basically a temperate fruit. It is a quite invasive plant and speards quicly after it is once introduced in an area. 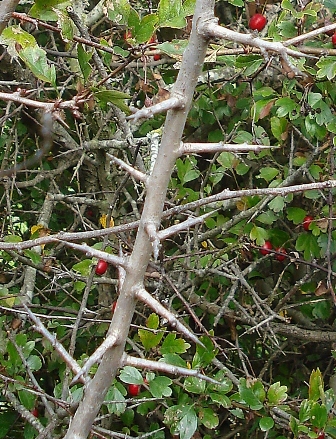 A shrub or small tree, 5-14 m tall with dense crown; bark dull brown with vertical orange cracks, younder stems bearing sharp thorns10-15 mm long. Leaves obovate, 20-40 mm long, deeply lobed, sometimes almost to mid rib, lobes spreading at a wide angle, dorsal surface dark green, ventral surface paler. Flowers white, borne in corymbs each bearing 5-25 flowers, moderately fragrant; 10-12 mm in diameter; petals 5; stamens numerous, red; style single. Five seeds are usually joined together giving it the appearance of a single seed. 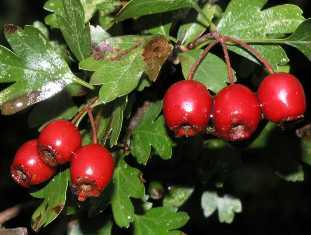 Fruit of the common hawthorn are called haw. Though it can be eaten out of hand, yet it is not very appetizing. So these are used for making jams and preserves. The fruit are also dried, ground and then mixed with flour and used for making bread etc. Young tender leaves and flower petals are also edible and are used in salads. 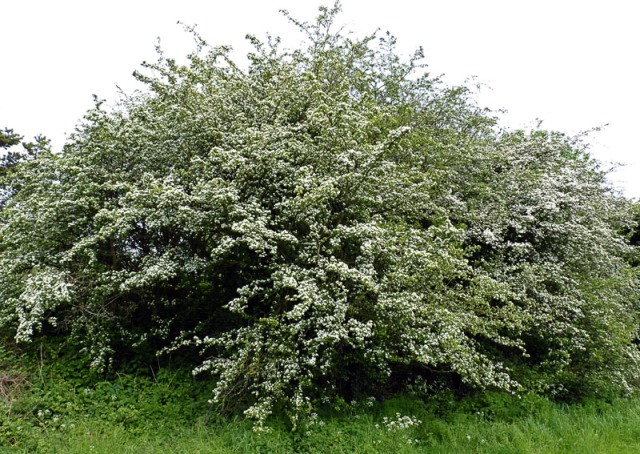 Common hawthorn is a good hedge plant. It is very tolerant of being cut and of neglect and is able to regenerate if cut back severely, it makes a good thorny stock-proof barrier and resists very strong winds. 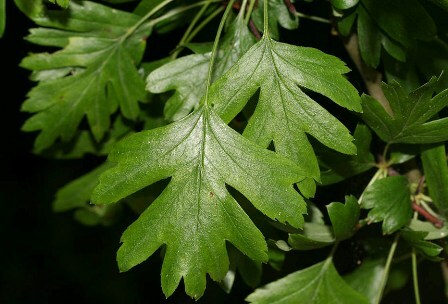 Common hawthorn is a very easy plant to grow. It succeeds in all kind of soils and can also tolerate drought. If the trees are to be grown for fruits, then these should not be planted in shade. New plants can be raised from seed, cuttings and grafting. The most easy method, however, is to collect rooted suckers. Seeds require stratification and are also slow to germinate.